Exploring the black market organ trade between Korea and China, The Traffickers (공모자들) is the directorial debut from writer/director Kim Hong-seon (김홍선). The film, which is loosely based on the true story of Korean newlyweds who became embroiled in human organ trafficking, also earned director Kim the ‘Best New Director’ award at the 2012 Blue Dragon Film Awards. The Traffickers is indeed a thrilling film, one that captures the horrifying reality of the trade and depths organ traffickers will go to in order to secure their product. The tension generated from such scenes is palpable, whilst the horror of those effected by trafficking is gut-wrenchingly poignant. Yet bizarrely, director Kim attempts to align the audience with the traffickers themselves, forcing them to care whether the mission is a success despite the criminals’ sinister machinations. The result is a thrilling yet odd story, and one that deserves credit for examining the very nature of such controversial subject matter. Following a failed attempt at securing organs that cost the life of his best friend, trafficker Yeong-gyoo (Im Chang-jeong (임창정) and his team quit the business and become simple smugglers instead. Yet the meager sums generated from smuggling make it difficult to rise out of squalor and pay debts, and the team are in need of a big score. Simultaneously, Yu-ri (Jo Yoon-hee (조윤희), the woman of Yeong-gyoo’s affections, has a sick father in need of a transplant and visits black market dealers to secure an organ. For her sake, and for the team, Yeong-gyoo secretly agrees to perform one last job with the help of righthand man Joon-sik (Jo Dal-hwan (조달환) and alcoholic surgeon Kyeong-jae (Oh Dal-su (오달수). As everyone gathers on the boat to China, businessman Sang-ho (Choi Daniel (최 다니엘) and his disabled wife Chae-hee (Jeong Ji-yoon (정지윤) board the same vessel only to find themselves the targets of the traffickers. The opening sequence of The Traffickers is the stuff of nightmares as a man, naked and wounded, stumbles through the hallways of a boat smearing his blood on the walls. Writer/director Kim Hong-seon captures the horror of the situation with skill and conveys a disturbingly compelling introduction into the world of the traffickers. Indeed, the director displays a keen eye for tension and violence throughout the film and is a seemingly perfect fit for the genre, building suspense-filled sequences until a release of blood soaked terror. The scenes in which Yeong-gyoo’s team abduct disabled Chae-hee and prepare to harvest her organs are horrifying yet engrossing, whilst the tension generated by her husbands frantic search of the claustrophobic and labyrinthian hallways of the boat is genuinely disconcerting. Similarly, the abuse Chae-hee suffers contains chilling realism as the traffickers take advantage of her predicament by abusing and cutting her, all voyeuristically captured on camera for their clients. It is therefore quite odd that Yeong-gyoo and the traffickers are given such central, vital roles within the narrative. 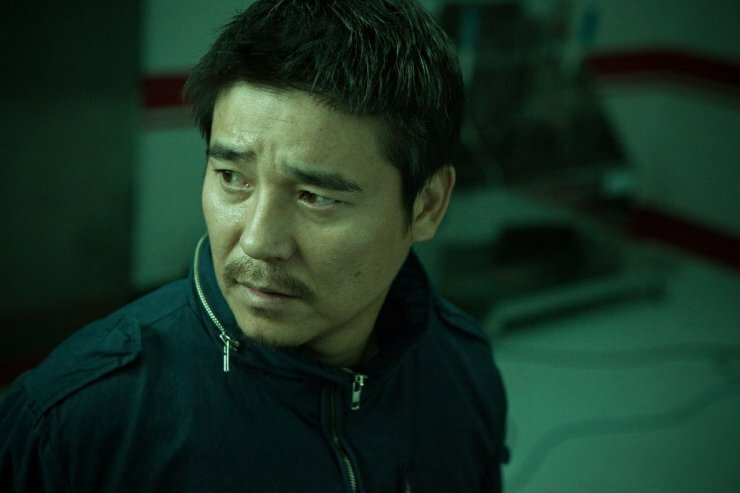 Korean cinema is no stranger to the concept of the anti-hero, with films such as The Chaser and The Thieves performing incredibly well, but The Traffickers really takes the notion to the next level. Criminals executing a high-stakes heist is one thing, but human organ traffickers that sexually abuse a drugged disabled woman is quite another. The perversity and violence that pervades whenever the traffickers are around is quite shocking, yet more is so that the audience are intended to root for them to succeed. In fact, all of the criminals have zero redeeming features with which to forge empathy, something director Kim seems to realise in the final act as a hasty back story is given to Yeong-gyoo through flashback scenes. This is particularly problematic as while the team appear to be winning, it just feels wrong. With the exception of leader Yeong-gyoo, the characters themselves are generally stereotypes including the effeminate sleazy boss, the mentally challenged trafficker, and the drunken surgeon. Despite this the dialogue is well written and competently acted by all involved, and the world in which they inhabit and the stakes they face are conveyed with the appropriate danger. As the most developed protagonist, Yeong-gyoo is actually quite a complex, and disturbed, figure within the film. Wonderfully acted by Im Chang-jeong, Yeong-gyoo is a particularly nasty piece of work due to his penchant for violence and swearing, as well as the abuse he delivers to the middle aged women who smuggle goods for him. As he is quite unlikeable, director Kim attempts to provide Yeong-gyoo with a ray of hope in the form of love interest Yu-ri, but as she wants absolutely nothing to do with him, he appears to be something of a stalker. Yeong-gyoo’s motivations are therefore unclear. Does he intend to give money to Yu-ri for her father’s operation? Does he intend to give Chae-hee’s organs to Yu-ri? He is incredibly mysterious, but the fact that Yu-ri doesn’t even like him gives rise to the question why he bothers at all. Director Kim appears to be aware of these issues however, and attempts to address them all for the finale. It’s too little too late of course, but by giving Yeong-gyoo a moral impetus and back story he finally becomes a figure audiences can root for, and hope to succeed. The action and suspense during the final act is frantic and exhilarating as the chase sequences and fighting scenes are tense and brutal as cars are smashed and eyes gouged. The Chinese hospital in particular stands out as a source of abject horror, as the camera moves past rooms filled with organ-less corpses. While the race against time is highly enjoyable, it is ultimately undermined by the silly coincidences and plot absurdities that transpire to transform Yeong-gyoo into the hero, which is a shame considering the action is so engaging. 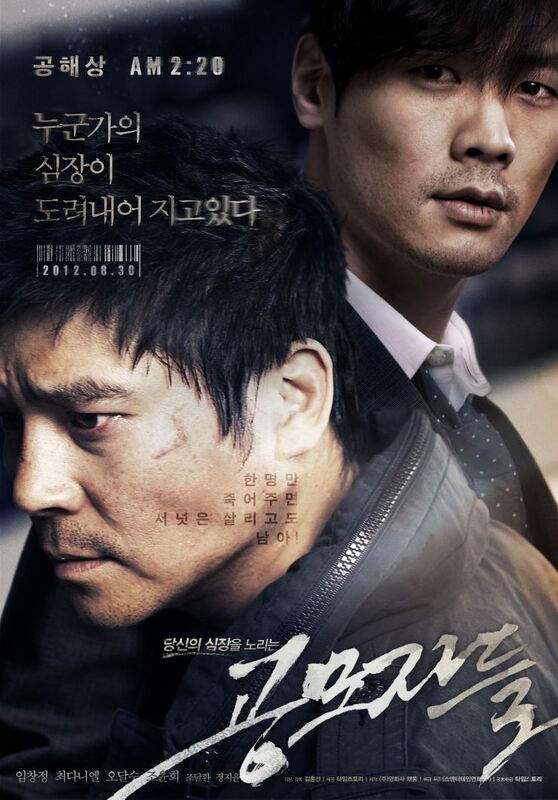 The Traffickers is a thrilling and violent film about the black market organ trade that exists between Korea and China. Director Kim Hong-seon captures the tension and action with skill in his debut feature, and the abject horror that arises throughout the film is palpable. Yet the film is hugely problematic as the central protagonists are the exploitative, perverse traffickers who sport zero redeeming features, but the audience are expected to will them to succeed. Combined with some quite absurd narrative occurrences in the final act, The Traffickers is an engaging albeit paradoxical thriller.